Take a journey to witness legendary Victoria Falls - which stretches over 1.5 km as it plunges over 100m into the Zambezi gorge below. 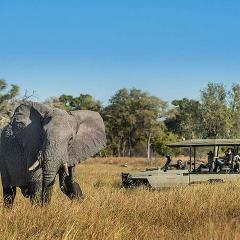 Enjoy exploring the natural surroundings and end your journey with a visit to lush Chobe, Botswana. From the waterways of Chobe National park to the majesty of Victoria Falls and the plains of Hwange, this safari is all about contrasts: different scenery, activities, vegetation and the mammals and birds these ecosystems support. 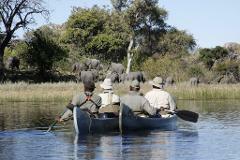 An authentic African adventure offering a pure safari experience either canoeing or walking for 3 nights / 4 days. 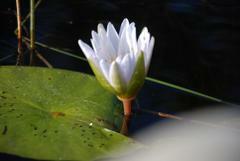 Discover hidden wonders of an ancient waterway in the tradition of the explorers of old. Dip your toes into two of Botswana’s most contrasting and mind-bogglingly brilliant landscapes – the Khwai Private Reserve and the Makgadikgadi Pans National Park. A magical journey for ten days across Northern Botswana - Experience the wonder of the central Kalahari and Okavango Delta. 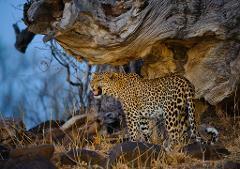 An incredible adventure with spectacular wildlife. Okavango Channels & Plains explores the waterways of the Delta as well as the wildlife-rich savannahs of the south-eastern corner of the Okavango in the summer months. 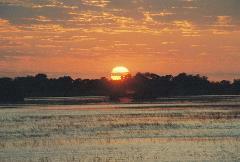 Your adventure begins in the Makgadikgadi Pans National Park, home to the 2nd largest migration. Then it’s off to the otherworldly and enchanting Makgadikgadi Salt Pans. You’ll end your trip in the green and grassy Khwai Private Reserve. Great for families, hikers, mountain bikers, horseback riders and even archeological adventurers. 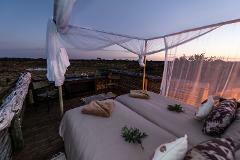 This safari offers exquisite game, varied terrain, stark beauty and endless savannah. From Botswanas Mashatu to South Africas Mala Mala. Combining two countries of incredible biodiversity and intrigue, this journey will open your eyes to the wonders of Africa. 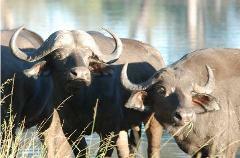 From the beauty of Botswanas Okavango to the wonder of Victoria Falls an the Bush & Beach adventure of Zimbabwe. Experience a nostalgic safari reminiscent of the times of the great African explorers. Experience the world-famous Victoria Falls on the Zambian side and explore Botswana's scenic northern areas.